Born: Jan 13, 1966, Maine, U.S.A.
Patrick Galen Dempsey is an American actor and race car driver who is best known for playing the role of Dr. Derek “McDreamy” Shepherd on the popular medical drama series Grey's Anatomy. Dempsey started his acting career at an early age; he starred in several films in his early 20's like Outbreak (1995), Can't Buy Me Love (1987), and Loverboy (1989). The actor who maintains a sports and vintage car collection is also passionate about auto racing and has competed in various prestigious pro racing events like the 24 Hours of Le Mans, Rolex 24 at Daytona sports car race and Ensenada SCORE Baja 1000 off-road race. Dempsey said if he would walk away from acting, he would dedicate himself full-time to motorsports. Apart from his acting career and auto racing, Dempsey also actively does a lot of charity and especially works for spreading awareness about ovarian cancer through his foundation. He has founded Patrick Dempsey Center to help women battle their Ovarian cancer. Born in Lewiston, Maine, Dempsey grew up in Turner and Buckfield. His mother, Amanda was a school secretary and his father, William worked as an insurance salesman. Dempsey went to St. Dominic Regional High School and Buckfield High School. In his youth, the actor worked as a juggler and he participated in juggling competitions. In 1987, Dempsey married his then manager and the mother of his best friend, Rochelle 'Rocky' Parker when he was just 21-years-old. After being together for seven years, the couple parted ways. Dempsey then married Jillian Fink, a makeup artist in 1999 and the couple has three children, a daughter named Taula Fyfe and twin sons named Sullivan Patrick and Darby Galen. Patrick Dempsey made his film debut in an uncredited role in the 1985 movie, The Stuff and followed it with a small role in Michael Dinner's comedy-drama film, Heaven Help Us. Over the next couple of years, the actor appeared in several films like A Fighting Choice (1986) and In the Mood (1987) but he did not get any attention for his roles in the movies. In his other movie of 1987, Can't Buy Me Love, he played the role of Ronal Miller, which won him the Young Artist Award for Best Young Actor in a Motion Picture – Comedy. The film directed by Steve Rash takes its name from a Beatles song with the same name. From 1988 to 1990, Dempsey appeared in five movies viz. Some Girls (1988), In Shallow Grave (1988), Loverboy (1989), Happy Together (1989) and Coupe de Ville (1990). Most of these movies received mixed reviews and Dempsey did not get any attention for his roles in the movies. He continued to have a bad run in 1991 as both his releases in the year, Mobsters, a crime film directed by Michael Karbelnikoff and Geoff Burrowes' Run both tanked at the box-office and received negative reviews. Following the disastrous year, Dempsey took a break for one year and returned to acting in 1993. His first release of the year was Carol Wiseman directed Face the Music, which released in June 1993. The crime drama movie, which also featured Molly Ringwald, Lysette Anthony in the lead roles, got poor reviews. He next appeared in Nick Mead's directorial debut, Bank Robber where he played the role of Billy, a bank robber who decides to sail off to a tropical island after completing one last heist. The movie got decent reviews and it emerged to be a hit at the box-office. Dempsey's next significant role came in the 1995 film Outbreak, a medical disaster film directed by Wolfgang Petersen. The film, co-starring Morgan Freeman, Dustin Hoffman, and Rene Russo got mixed critical reviews but went on to gross more than 185 million US dollars. With no releases to his name in 1996, the actor was next seen in the 1997 film Hugo Pool. The romantic-comedy film directed by Robert Downey, Sr also featured Laura Downey in the lead role. Although the movie opened to negative reviews, Dempsey's performance was praised by the critics. The following year, Dempsey had three releases, viz. Denial directed by Adam Rifkin, Jeremiah directed by Harry Winer and The Escape, a TV film directed by Stuard Gillard. With none of the movies creating any buzz at the box office, the actor took a hiatus for two years and made a comeback in 2000 with the horror film, Scream 3. The movie directed by Wes Craven also featured David Arquette, Neve Campbell, and Courteney Cox in pivotal roles. The film, which was the third installment of the Scream series, got mixed reviews. While some critics trashed the movie, some critics praised it and called it a perfect ending to the trilogy. Despite the mixed reviews, the movie grossed more than 160 million US dollars worldwide. In 2002, Dempsey starred in Sweet Home Alabama directed by Andy Tennant. The movie co-starring Reese Witherspoon, Josh Lucas, and Ethan Embry despite receiving mixed critical reviews turned out to be a box-office hit. It grossed more than 35 million US dollars in the first week itself. His next movie in the same year was The Emperor's Club directed by Michael Hoffman. The movie, which focuses on the life a prep school teacher and students at a fictional boys prep school got mixed critical reviews and was an average earner. Over the next couple of years, Dempsey had two releases, Harry Winer's Lucky 7 (2003) and Iron Jawed Angels (2004), a historical drama film directed by Katja von Garnier. While Lucky 7 did not create any buzz at the box-office, the latter received positive reviews and it won five nominations at the 56th Primetime Emmy Awards and three nominations at the 62nd Golden Globe Awards. Dempsey's next notable performance came in the 2007 movie, Enchanted, which won him a nomination at the National Movie Award for Best Performance – Male. The fantasy romantic comedy movie directed by Kevin Lima received highly positive reviews and emerged a massive box office hit. 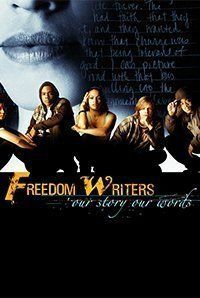 His other movie of the year, Freedom Writers co-starring Scott Glenn, Hilary Swank, and Imelda Staunton was based on the book, The Freedom Writers Diary by Erin Gruwell. The movie mostly received positive reviews and it grossed more than 43 million US dollars. 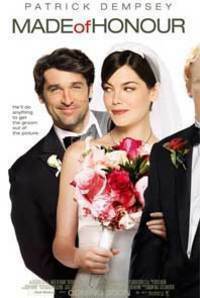 In 2008, the actor featured in a single movie, Made of Honor alongside Michelle Monaghan, Kevin McKidd, Kathleen Quinlan, Chris Messina and Sydney Pollack. 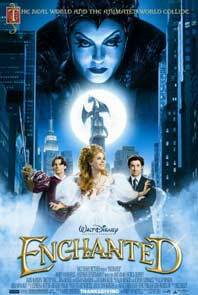 The movie directed by Paul Weiland got mostly negative reviews. In 2010, Dempsey appeared in Gary Marshall's Valentine's Day, which was his only release of the year. The movie, also featuring Jessica Alba, Kathy Bates, Jessica Biel, Bradley Cooper, Jamie Foxx, Jennifer Garner, Aston Kutcher and Eric Dane, received negative reviews but turned out to be a box office hit. The following year, the actor starred in the science-fiction action film, Transformers 3: Dark of the Moon, the third instalment of the Transformers film series. The movie featuring Shia LaBeouf, Josh Duhamel. John Turturro in the leading role won praises from the critics, especially for its visual effects and 3-D action sequences.His other movie of the year, Flypaper co-starring Ashley Judd was directed by Rob Minkoff. The movie received negative critical reviews and was a commercial flop. The actor after a gap of one year appeared in his solitary movie in 2013 titled Ushi Must Marry. The actor was out of action for two years, and his 2016 release includes Bridget Jones's Baby. The movie directed by Sharon Maguire also features Colin Firth, Renee Zellweger and Gemma Jones in the lead roles. Dempsey started his TV career in 1986, his first appearance on a TV series was in Fast Times where he appeared in 7 episodes and in the same year, he starred in a single episode of Disneyland. Seven years later, he played the role of John F. Kennedy in the mini-series, JFK Reckless, which portrayed the life of the former President of America, John F. Kennedy from his school days till he won the 11th congressional district for Massachusettes in 1947. The actor then appeared in several series' like A Season in Purgatory and Once and Again, where he appeared in four episodes. For his role as Aaron Brooks, he won a nomination at the Primetime Emmy Awards for Outstanding Guest Actor in a Drama Series. Although Dempsey had a significant amount of work in the TV series, it was in 2005 that he rose to fame for his role as Dr. Derek Shepherd in the medical drama series, Grey's Anatomy. The series, which ran from 2005 to 2015 completed more than 235 episodes. For his brilliant performance in the series, Dempsey won nominations at the several award functions and won the People's Choice Award for Favorite Dramatic TV Actor. Patrick Dempsey's mother, Amanda was diagnosed with ovarian cancer in 1987 and it later relapsed five times. After battling cancer for a long time, his mother succumbed to the disease and passed away in March 2014 at the age of 79. After seeing his mother struggle with cancer, Dempsey started the Patrick Dempsey Center at Central Maine Medical Center in Lewiston to help women suffering from ovarian cancer battle the disease. In 2009, he introduced his first Dempsey challenge where 3,500 runners and cyclists participated in an event and raised more than $1 million for the cancer center. Since the first Demsey challenge, it has become an annual event that is held in October. Following the takeover of Tully's Coffee by Dempsey's company, Global Baristas, the actor got involved in a legal tussle with the owner of the Global Baristas' investor group, Michael Avenatti. Dempsey filed a lawsuit against Avenatti claiming that he had borrowed $2 million against Tully's assets without his knowledge. Soon, Dempsey left the group with immediate effect and sued Avenatti to meet the working capital funds of Tully. Patrick Dempsey, known for his handsome looks has endorsed several brands; he has been the face of renowned cosmetic brand L'Oreal as well as the luxury fashion brand Versace. In November 2008, Dempsey launched the Avon fragrance named Unscripted and following its huge success, Avon launched a second fragrance named Patrick Dempsey 2 in October 2009. In 2013, an Austria-based brand Silhouette roped in Patrick Dempsey to promote their line of eyewear. Patrick Dempsey's first job was as a juggler; he used to a half-hour show on the weekends to make money. Later in 1983, Dempsey participated in the National jugglers convention and came third. Before venturing into acting, Patrick Dempsey wanted to be an Olympic downhill skier. Although the could not achieve his dream, he was good enough at skiing to win the Maine State Slalom Championship. When the actor was 12 years old, he was detected of dyslexia because of which he has to memorize all his dialogues. Dempsey believes that dyslexia shaped him to become the hardworking person. He enjoys collecting antiques and maintains a sports and vintage cars collection. In 2012, Patrick Dempsey saved the life of a 17-year-old boy who rammed his car onto Dempsey's property; he used a crowbar and a fire extinguisher to get him out of the car and later called his mom to let her know about the accident. I love having a big family. I think it is easier, oddly, in some ways having three children as opposed to one. I think dreams can come true, but not necessarily like fairy-tales. It is not always so perfect like that. I know it can be dangerous, but I love racing. I worry my wife, but she knows it is important to me.